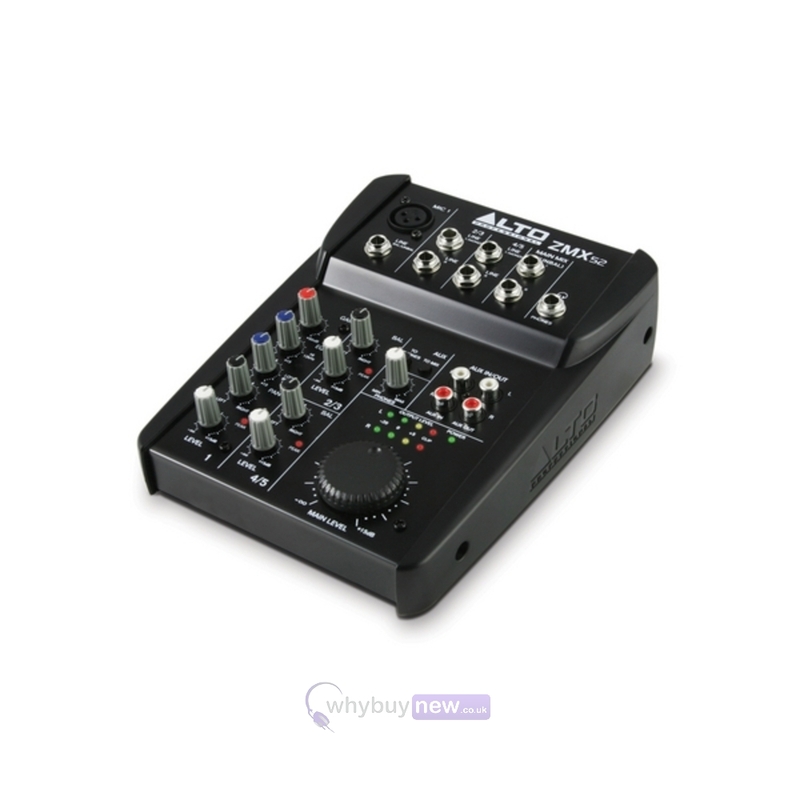 Alto ZEPHYR ZMX52 mixer has to be the best value on the market if you are after great build and sound quality. 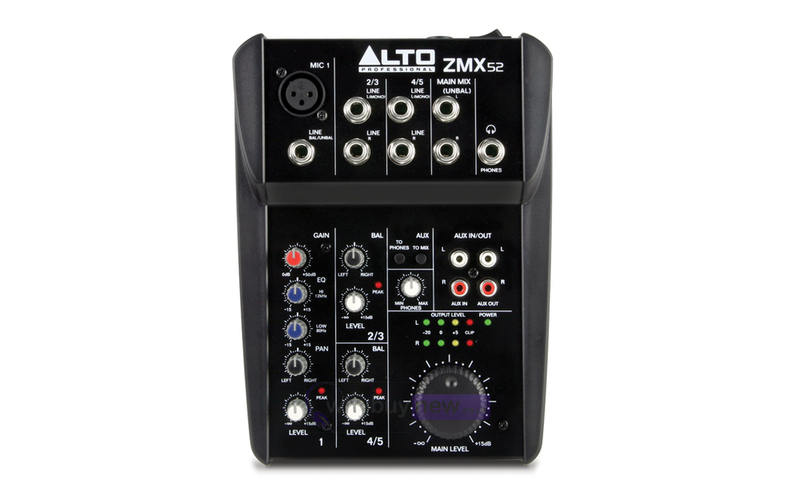 This Alto ZMX52 mixer has a total of five channels with just the right about of inputs, outputs, and EQ for solo gigs and multimedia studios. When we tested this ZMX52 we found that it was a great little tool for the studio or solo artist and came highly recommended. Alto ZEPHYR ZMX52 features one mono channel with a microphone input (with Phantom Power), balanced TRS input, and a two-band EQ and a stereo channel. It also delivers two stereo channels with two balanced TRS inputs each. There's even two-track inputs for things such as audio playback. The ZEPHYR ZMX52 is the swiss army knife your creative life needs. Not only can you can plug dynamic, condenser, and wireless microphones into the first channel, but you also get two stereo channel inputs for keyboards, drum machines, and other instruments. What's more, you can easily plug in your MP3 player, CD players, or audio from a DVD player into the CD/TAPE input. But, you also have a dedicated stereo output to send to a recorder in addition to the main stereo outputs! Choose the Alto ZEPHYR ZMX52 mixer as the audio central command for your live performances, home studio, or video suite. 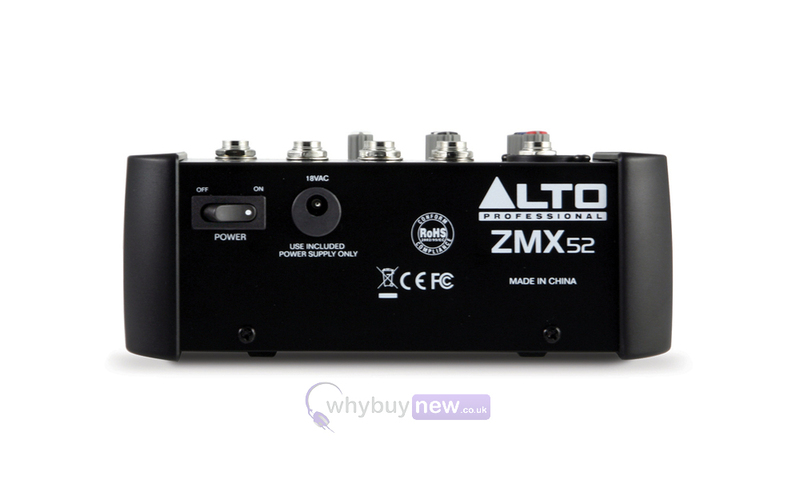 Here we have the Alto Zephyr ZMX52 mixer in new and B-stock. The B-Stock versions would have been on display at a training evening or trade exhibition only and will come boxed in excellent cosmetic condition with all the accessories and a 1-year warranty. Buy this amazing ZMX52 with confidence with 100% satisfaction guaranteed or your money back! 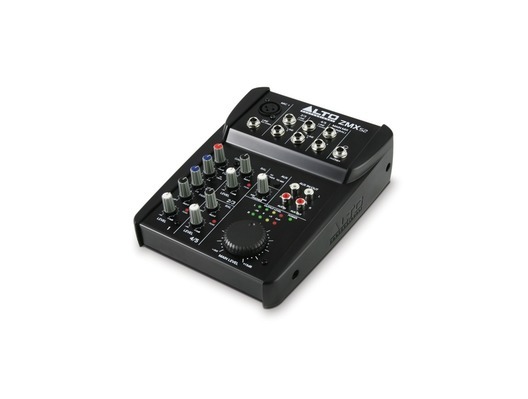 Great little mixer, good quality and low noise. I use it for keyboards, works a treat. Aux in/out good for handling audio in/out of PC. I bought the B stock cant find any difference to new stock except price. I have seen this mixer retail at 50 pounds in shops. with free next day delivery you just cant get a better deal.